If you let somebody into you property without having a signed tenancy agreement, may cause serious problems when regaining possession of your property. You will be unable to use the Section 21 process to secure possession of your premises. In law, a tenancy can be created by the conduct of the parties and does not need to have a written agreement to be legally binding. Once a person is given possession (exclusively) of land or property (usually evidenced by possession of the keys) and the owner accepts rent payments, a tenancy comes into existence legally. Creating tenancies on a casual basis such as this (even for friends, perhaps especially for friends) is not the sort of thing any sensible landlord would do! 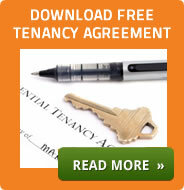 A written agreement or lease is absolutely crucial to any successful tenant - landlord relationship. Any landlord (or tenant) without a written agreement is "in the lap of the Gods" or, more specifically, the civil court judges. provide evidence, other than a written agreement, as to the rent payable, when it is due and when the tenancy started.